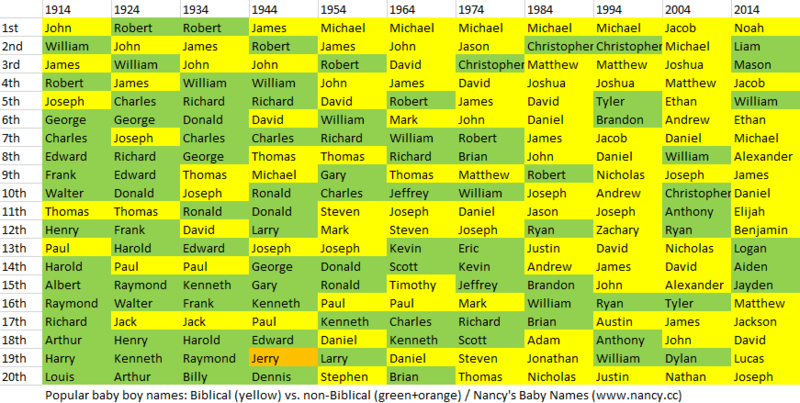 How popular is the baby name Bentley in the United States right now? How popular was it historically? Find out using the graph below! Plus, check out all the blog posts that mention the name Bentley. Saskatchewan’s top baby names of 2013 were announced last week. According to data from eHealth Saskatchewan, the most popular baby names last year were Emma and Liam. Notably, if you combine totals for Jace and Jase, the resulting 95 puts Jace/Jase above Liam’s 92. Saskatchewan’s 2012 list was also topped by Emma and Liam.